Michael Cera is 1 star. 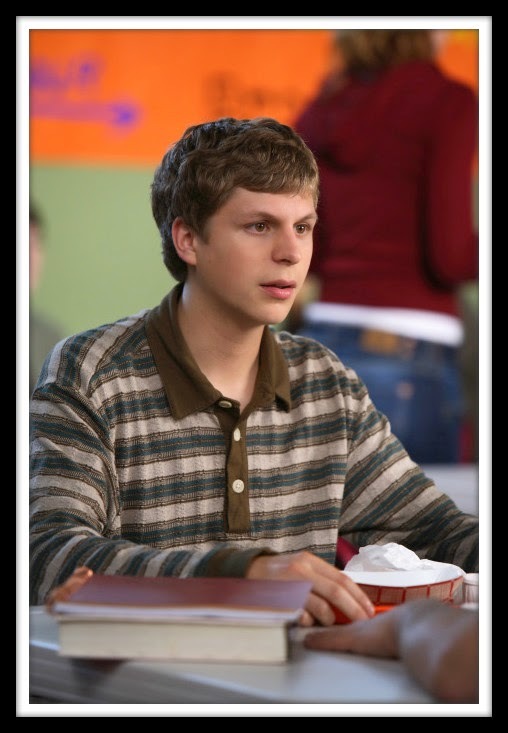 Everyone has seen a Michael Cera movie. He's cute, adorkable, and rather innocent. However, he plays the same roles. Kid in love with a girl but, something gets in his way. A book given Cera is the same way. We want to love him more but, you can't fully. Zac Efron is 2 stars. Efron because he's highly attractive but can you really take young Zac Efron seriously? We think not so much! A book like this is good but, missing a few components to make it the best! Chris Evans is 3 stars. Chris, Chris, Chris. Flame on indeed. This book is pretty good, but just like Chris Evans, it's kind of a tease. We need more. Crave more. Only, it stopped too son. This type of book is a few degrees away from supernova. Flame off. Alexander Skarsgard is 4 stars.Known for Eric in True Blood, Alexander is the bad boy turned almost good. We love him up until he pulls that one stupid move. Then we are like SERIOUSLY?!?! That's the perfect description for how we feel about star rating 4 books. Perfect except for the tiniest of flaws. Matt Bomer is 5 stars. Matt Bomer is exactly what you want in a man. He's smooth and sweet. He can talk you into bed and then cook you breakfast the next morning. A novel such as this is near perfect. We laugh, cry, pine for the characters, and never put it down (until we have to).